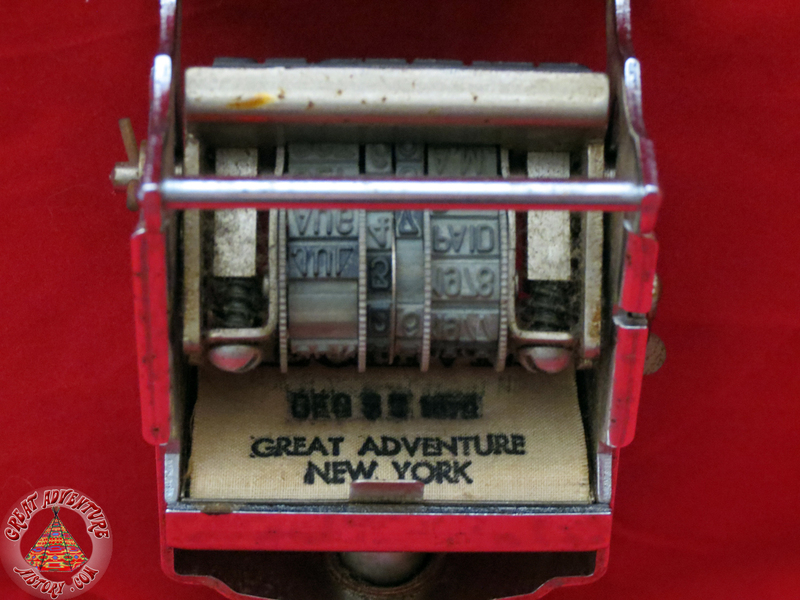 This is a piece of Great Adventure memorabilia which I think is really odd and really cool. 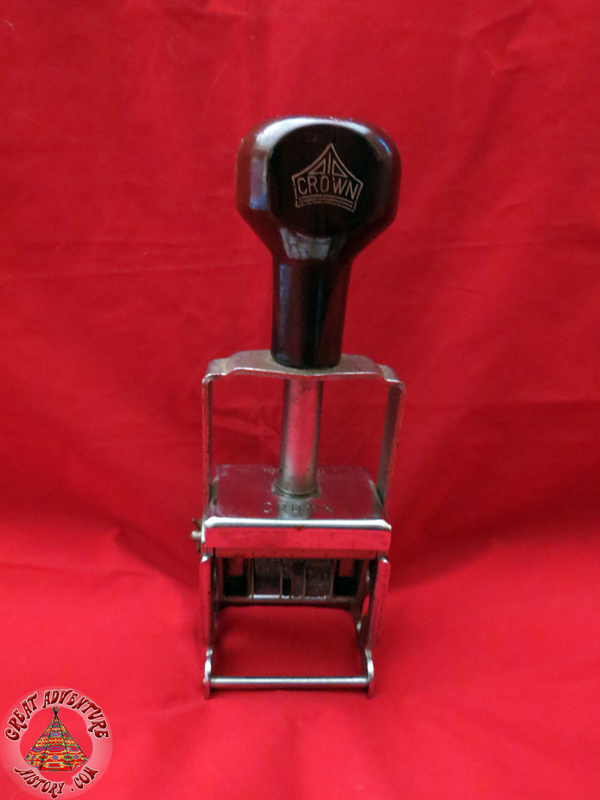 It is a stamper from Great Adventure's original corporate offices when they were in New York back in the Warner LeRoy days. It is hard to imagine that this was probably used to date all the correspondence between the park designers, the town of Jackson, the European animal parks, and countless others that all communicated in getting Great Adventure built. Wow Harry, that is cool. where did you dig that up from? 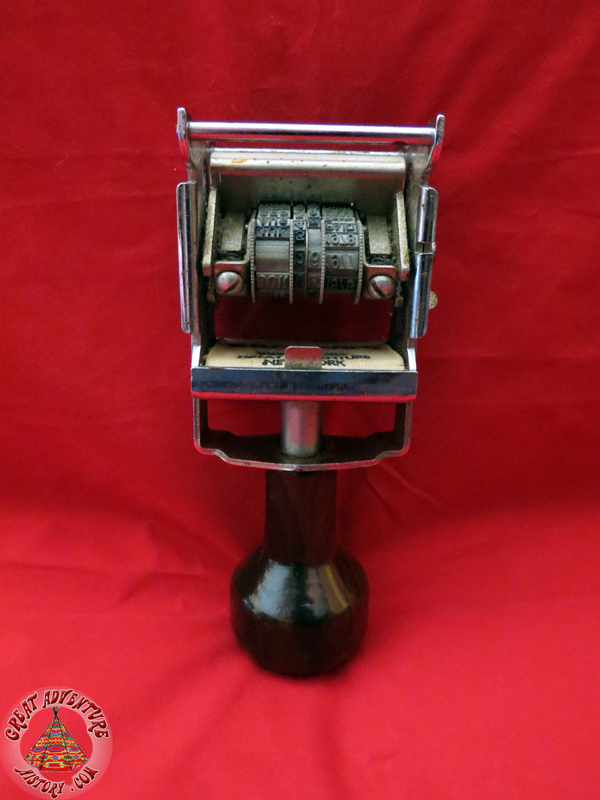 ^I found it on eBay!